Üsküdar is located on the Asian side of İstanbul and surrounded by Beykoz on the north, Ümraniye on the northeast, Ataşehir on the east, Kaadıköy on the south and Bosphorus on the west of it. Üsküdar used to have a separate status of a city until 1926, when it was made a district of İstanbul. 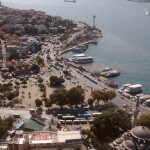 Üsküdar is located on the Asian side of İstanbul and surrounded by Beykoz on the north, Ümraniye on the northeast, Ataşehir on the east, Kaadıköy on the south and Bosphorus on the west of it. 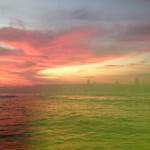 Üsküdar used to have a separate status of a city until 1926, when it was made a district of İstanbul. 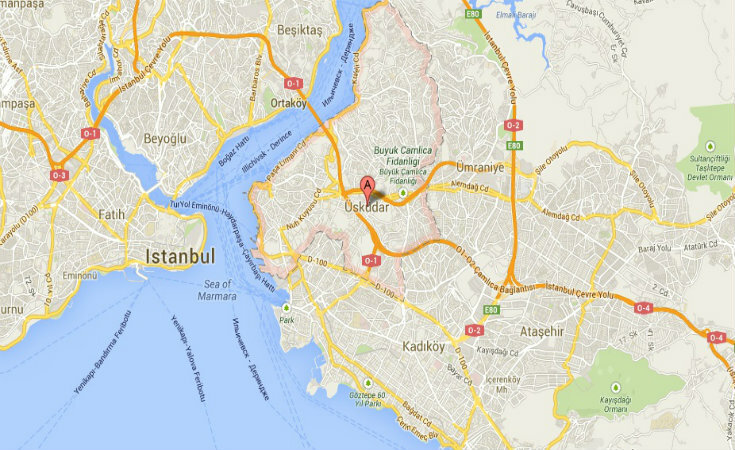 Kadıkoy and Beykoz were separated from Üsküdar in 1930 and they became districts. In 1987 Ümraniye followed these two. After the resettlement of the boundary between Üsküdar and Ataşehir in 2008, the district had its finalized map. The common theory about the etymology of the name Üsküdar is that it derived from the Roman legion Scutarii and their barracks here called Skutarion Barracks. It was also called Chrysopolis (Golden City) by the Byzantine Empire, but “Skutarion became more widespread after the 12th century AD. Geoffroy de Villehardouin, who came to the city together with the armies of the Fourth Crusades used the name “Escutarie” for Üsküdar in his “Histoire de la conquête de Constantinople” and this name had its place in many other French sources. This name evolved into Üsküdar in the following centuries. 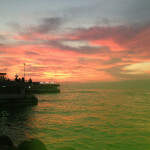 The city developed as a port during the Ottoman times. It was the center of the manufacturing of the equipment that was needed for the armies that were sent eastwards. Mehmed the Conqueror set his base in Üsküdar before he started his military campaign on Uzun Hasan. The district was ruled by local governors under the title of “mutasarrıf” from 1867 on, it was transformed to a municipality in 1876. Üsküdar built a reputation with its green parks and gardens as well as its mansions and kiosks. The district became a part of İstanbul in 1926. The district is named after the settlement around the port in its southeastern part. This historical are now includes the neighborhoods of Selman Ağa, İnkılap, Gülfem Hatun and Rumi Mehmet Paşa. According to some sources, people of the historical Khalkedon built their ships in the shipyards on the Üsküdar coast in 7th century AD. The district has been an important center of settlement and transportation at least since the Athenians, who built a wall around the seaside settlement in 5th century AD. 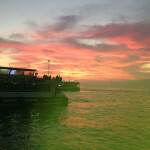 It has been the most critical point for the transportation between the two sides of the Bosphorus. It has been used as a military base by many different armies from the East that aimed to capture Byzantion and Constantinople. In addition to its importance as a center of transportation, accommodation and military action, Üsküdar has always been a center of trade. Üsküdar was captured by the Turks in 1352, well before The Fall of Constantinople. 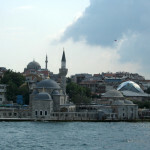 Üsküdar had been under the control of the Ottomans since the reign of Orhan Gazi, but the settlement of the Turkish population on a large scale took place during the reign of Mehmet II. The complex that includes the mosque consists of an imaret (soup kitchen), a shrine, a library, an Imperial Lodge, a fountain, cells for the dervishes, the sheikh’s house, a bakery and probably a Turkish bath was built on a high point in Üsküdar. The complex stretches on an area of 10.000 square meters and it has two gates from its courtyard opening to Hüdâyî Mahmut and Aziz Mahmut streets. The mosque had its final shape during the reign of Abdülmecid. The original mosque with stone walls and a wooden ceiling was destroyed in a fire that started in a restaurant in Üsküdar Bazaar in 1849. After staying in ruins for five or six years, it was rebuilt on the order of Abdülmecid on the recommendation of the Sheikh of Kurban Nasuh Lodge, Nuri Baba. The inscription about this rebuilding can be seen on the left side of the mosque and above the entrance. It was commissioned by Mihrimah Sultan to Sinan in the year 1547 or 1548 as a complex. This magnificent complex comprises a mosque, a madrasa, an imaret (soup kitchen), a school, a muvakkithane (timing room), a caravanserai and a shrine. 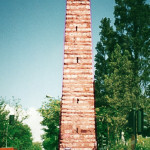 It is the first work by Sinan in Üsküdar. 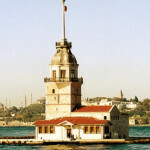 After 1547, the great architect Sinan built 34 more works in Üsküdar, all of them extremely beautiful. No other place has this many works by Sinan. The courtyard has four gates opening to Selman Ağa Street, İskele Square, Paşa Limanı Road and the madrasa. The entrances from İskele Square and Paşalimanı Road can be reached by climbing a set of stairs. The courtyard is surrounded by cut-stone parapets and has a splendid fountain in the middle of it, right opposite the main entrance to the mosque. The mosque has a rectangular plan and a large dome. This high dome is supported by two half domes; and the half dome in the direction of qibla has also two supporting small domes on its sides. The main half domes are supported by the stone pillars on the interior of the mosque on the altar side, and by two hidden legs on the entrance side. 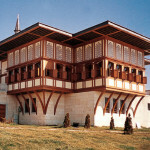 The palace is located in Beylerbeyi neighborhood of Üsküdar and it was commissioned by Sultan Abdülaziz. 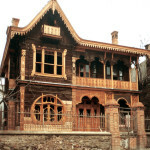 The architect Sarkis Balyan built it between 1861 and 1865. The plot under the palace has a longer history and it was an area of settlement in the Byzantine period. The surrounding area was a small forest called the Stavroz Forest (Cross Forest, named after the tall cross erected here by Constantinus II). We learn from Eremya Çelebi Kömürcüyan that a Byzantine church and a holy water spring were still intact in the 17th century. The first sign of Ottoman rule here is the palace that was built for the daughter of Selim II, Gevher Sultan. 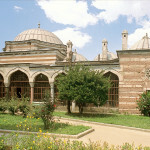 Later on Şevkabad Pavilion for Ahmet I was built in the 17th century, Ferahabad Pavilion by Ahmet III and Ferahfeza Pavilion for Mahmud I’s mother. This place was also used as the imperial gardens. In the reign of Mustafa III, the buildings were demolished and the land was sold to public. Mahmud II bought the land back during his reign and had a wooden palace built on the spot in 1829. The palace was mostly destroyed in a fire in 1851. Since Sultan Abdülmecid was in the palace during the fire, the place was thought to be cursed and wasn’t used for a while. Later on, Beylerbeyi Palace was commissioned by Sultan Abdülaziz and it was built by Sarkis Balyan and Agop Balyan brothers between 1861 and 1865. Beylerbeyi Palace is actually a complex of palaces and consists of the main palace (summer palace) in a large garden, Marble Kiosk, yellow Kiosk, Ahır Kiosk and two small seaside kiosks.